My I Love Books A-Z of my Book Reviews on my blog. While I was up in Edinburgh my wise owl of a brother suggested that it would be a good idea to have an awesome A – Z list. Yes this is a terrific idea, but it’s taken me ages to compile! Thanks Donald!!! Siblings huh! Only kidding, I appreciate your input. To date I’ve done 125 reviews, (I’m losing count,) if you include my Goodreads reviews too. Well, I never, somehow I didn’t realise that I’d written that many. Maybe I have a twin who has written reviews too? Gosh, she’s been busy. I feel quite faint. My twin is hyper, or maybe she has a special magic wand to conjure up reviews. Pass me the smelling salts. I should have done an A-Z right at the beginning, that twin of mine is hyperactive, but she isn’t very organised! Ack. 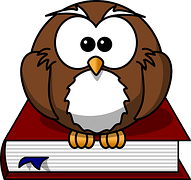 So my wise old owl tip for new bloggers is don’t delay, do an A-Z of your reviews right at the beginning, it saves you a lot of time and hassle in the long run…..
Do to the ever-growing number of reviews…. I have now split the list into two sections authors surnames: A – M, which you’ll find in this blog post, and an N-Z. Some of the reviews featured below I wrote a long time ago when this blogging/reviewing lark was new to me and some I’ve written not too long ago. There are a range of genres to choose from, broadly ranging from YA, to Historical Fiction, Crime, Asian Literature, Paranormal, Magic, Literary Fiction, and Science Fiction. At the end of the list there are a few special interest books too. Please do let me know if any of the links don’t work, …..
Hope you find this long list useful. Bye for now, I’m chilling out, feeling on top of the world!! Snooze time….. 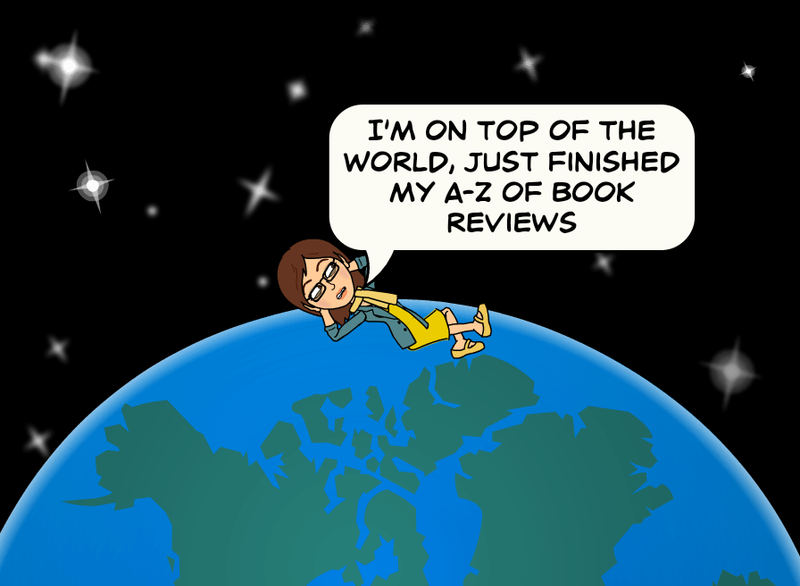 This entry was posted in A - Z Book Reviews and tagged #MondayBlogs, A-Z Book Reviews, humour, I love Books. Bookmark the permalink. One Lovely Blog Award Thank You!!!! Wow that’s a lot of reviews! So far I only have 2 book reviews up on my blog lol My hope is to do a review at least once every month. I’m going slow and steady, but one day I hope to have a list as long as yours 🙂 Awesome post! That’s wonderful and admirable! I will read some of your reviews. Of course Richard. I have to add a few recent reviews to it too… mustn’t forget anyone! You’ve been a busy girl. In 600 posts, I’ve never reviewed a book. I plan to review my first in October! Thank you! That’s great Susie. Enjoy!